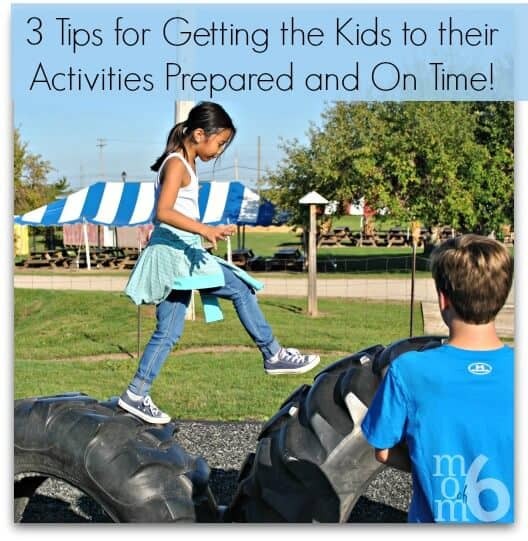 3 Tips for Getting the Kids to Their Activities Prepared and On Time! How many afternoons a week do you do “the mad scramble”? You know… the rush to get kids ready and out the door for whatever afternoon activity you have planned? At our house it happens every single day- and every weekend too. And there's nothing worse than throwing the kids in the car, driving all the way there, and then realizing that you can't participate because you left their required shin guards at home. And I hate, absolutely hate (!) being late for an activity. I think it's rude to the instructor and it makes my kids feel embarrassed to join a class or lesson that's already gotten underway without them. So here are the steps I follow every day to make sure that we get out the door so that we arrive on time, and prepared! So if I need to be there at 4:15pm, I need to have the kids start getting ready at 3:35pm. 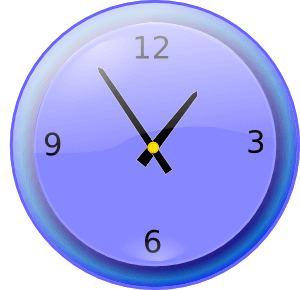 Which means that at 3:30pm I need to give the “5 Minute Warning” announcement…. Give the kids have one place to go to get everything they need for that activity. 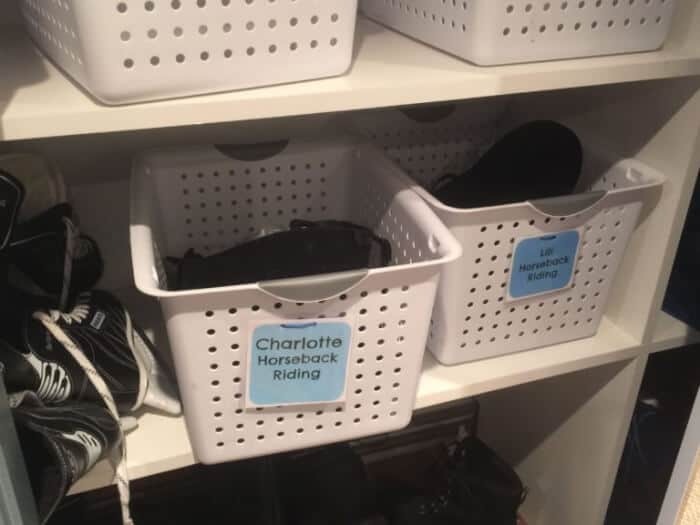 My kids have bins for soccer, horseback riding, basketball, and track. And make sure that when you return home, that all of their gear gets put back away into that bin. If you need items that aren't practical to store in the bin (for example, we take fresh carrots for the horses to our horseback riding lesson each week)- then have a checklist by the door so nothing gets left behind! 3. Have a plan for snacks and drinks that can be grabbed before you go! 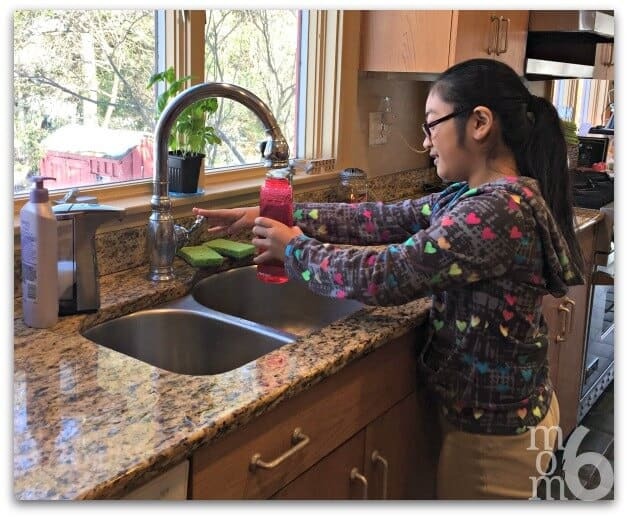 We keep a big stash of refillable water bottles in the kitchen so that the kids can fill them up before heading out to practices and activities. 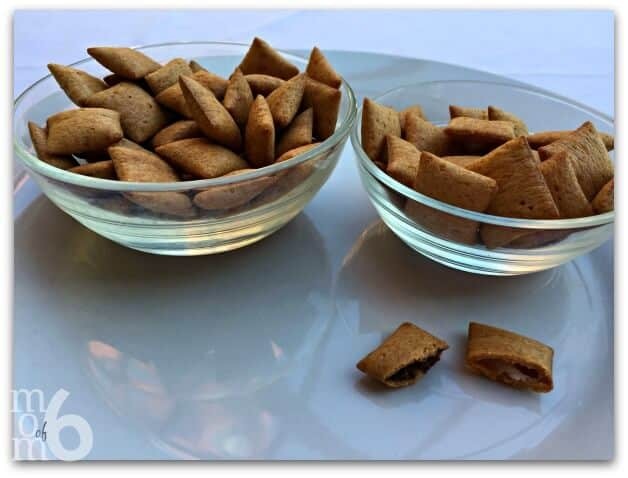 I also like to buy packaged snacks that the kids can throw into a plastic container to take along… or even grab the whole box to share in the car! 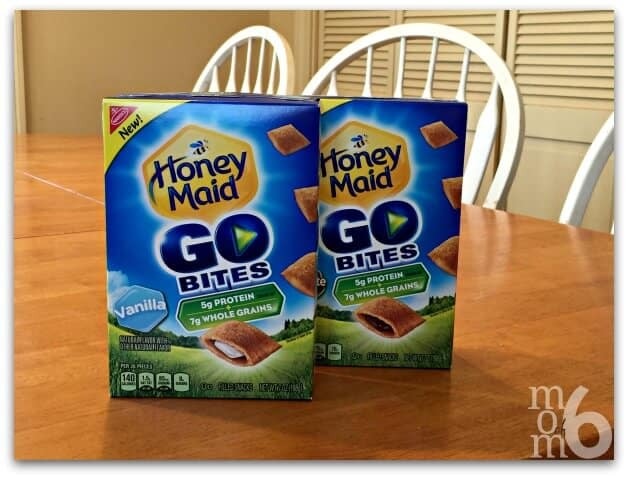 A current favorite are these Honey Maid Go Bites. They come in vanilla (my preference) and chocolate (the kids' pick!) fillings and they pack 7 grams of whole grains and 6 grams of protein into a serving. And Honey Maid Go Bites contain no high fructose corn syrup or artificial flavors or colors, which makes them a clear winner in my book! See? All it takes is a little planing ahead and getting things organized, and you too can have the kids ready to get out the door and arrive to their activities on time and prepared!